I have mentioned that the bangs work for every hair length, here is a wavy bob combined with baby bangs. Everyone will admit that the hairstyle is just chic. The modern elements make it a top-notch style for women of all ages. The bob is tousled on the side and top and that’s amazing all the way. If you have short hair or you want to introduce some changes in your style just go for it. Embrace roundness with a center-parted low ponytail. 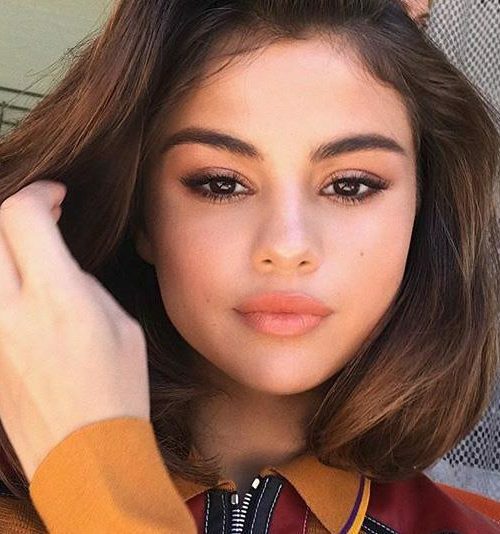 Incredibly beautiful Selena Gomez knows how to accentuate the beauty of her round cheeks. As you can see it is an excellent hairstyle to expose the beauty of the round face. The best thing is that hairstyle is easy to achieve. In case if you want to have it super sleek, consider using hair products to tame flyaway strands. 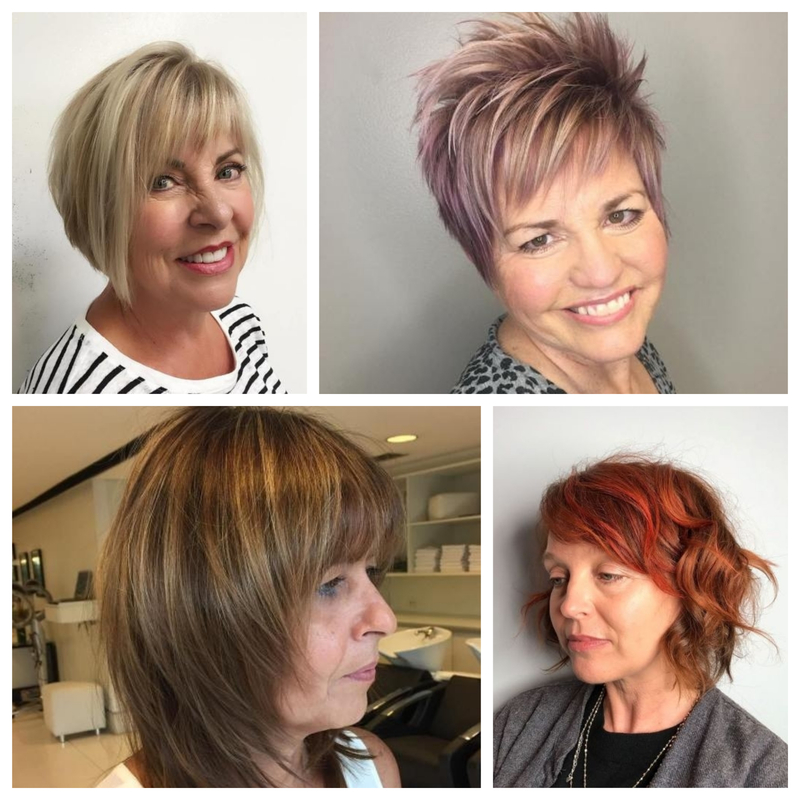 This choppy hairstyle is a great idea for those that want to wear a short haircut but not ready to go for radical changes. 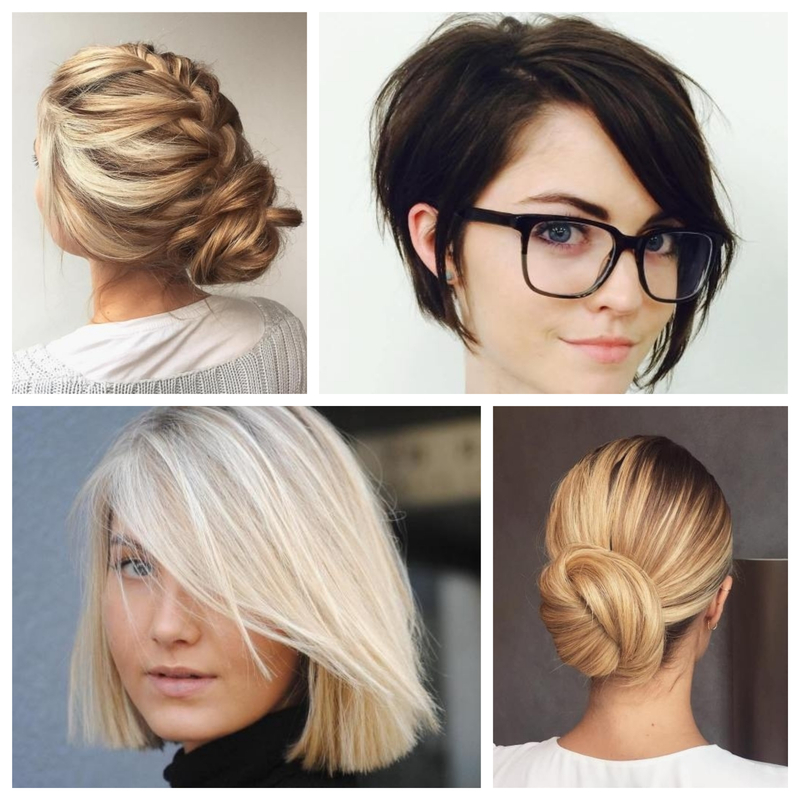 The crop gives some space for different updo and downdo styles. Apart from it, the balayage also provides a great effect. The light and dark shades perfectly melt into each other giving the style a complete look. Just give it a try and you will not regret. 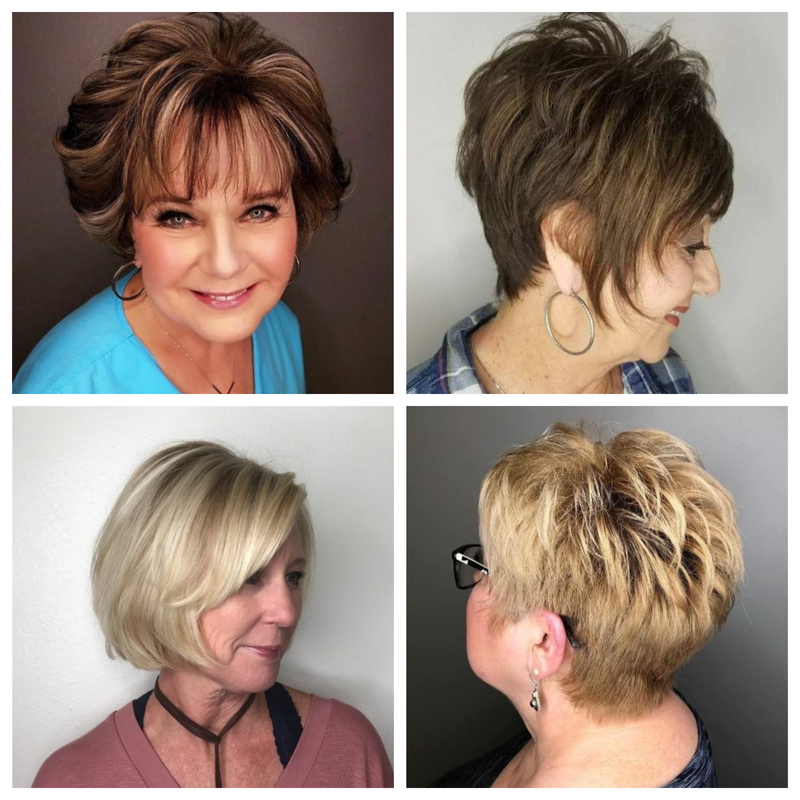 This spik pixie is the easiest hairstyle for women over 60. The layers create an excellent canvas for beautiful spikes. As soon as you get the cut you may achieve the spikes without difficulties. All you need to do is to apply some hair gel and with a simple movement of your fingers create spikes just like the ones you see in the picture. 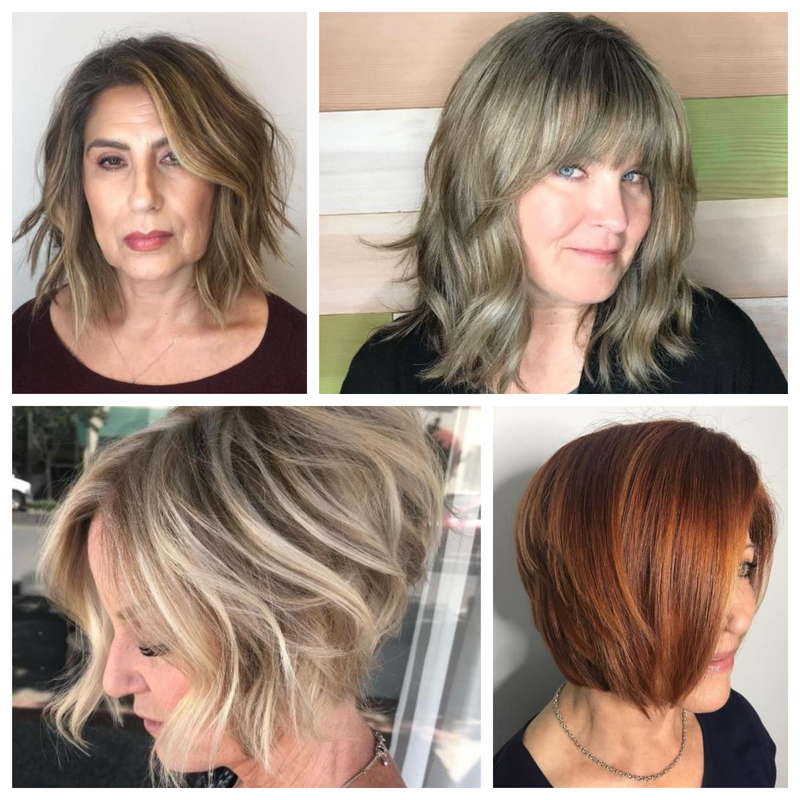 If you are over your 50s and you don’t know what kind of hair color to wear to have a youthful appearance, then this amazing neutral shade is just for you. It is neither bright nor dark, and it complements almost all skin tones and eye colors. The best thing about this neutral shade is that it has the power to take years out of your face. If you have always thought of a short yet professional crop, then this A-Line bob is definitely for you. Note that this crop never gets out of style and it works for women of different ages. Whether you are a young lady or mature women, you can rock the style proudly. 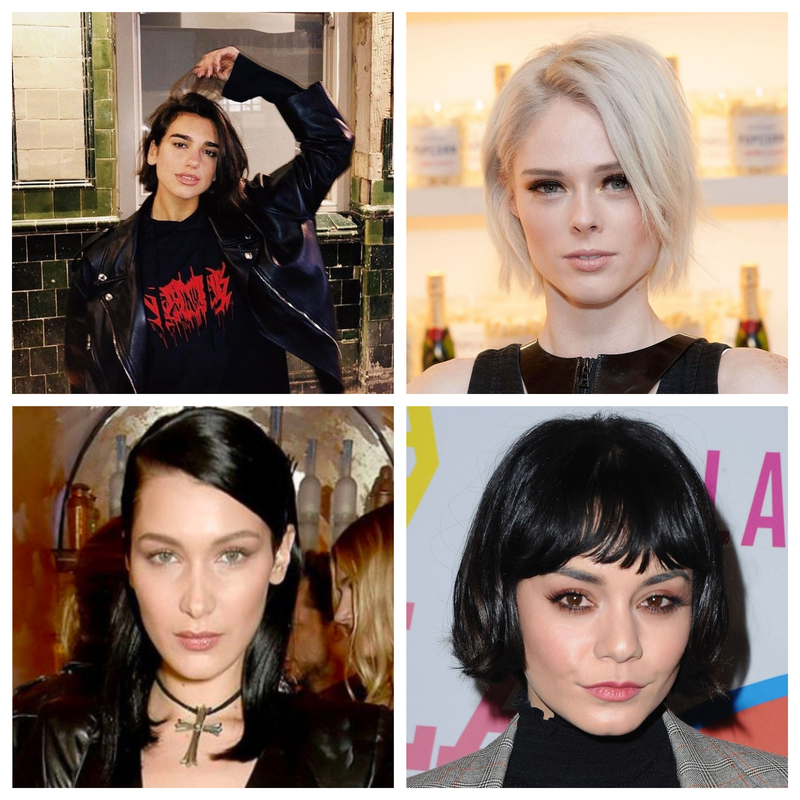 The key to an excellent bang hairstyle is choosing it according to you face shape. In this case consulting with your hairstylist is must. 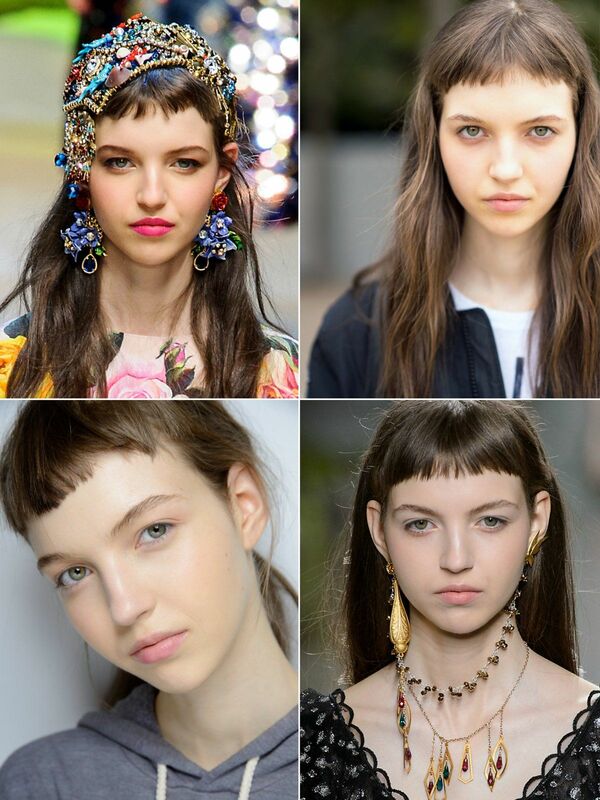 So, before you will decide to get some bangs, makes sure that you have a face shape for the style. You may always decorate your hairstyle with some trendy hair highlights. 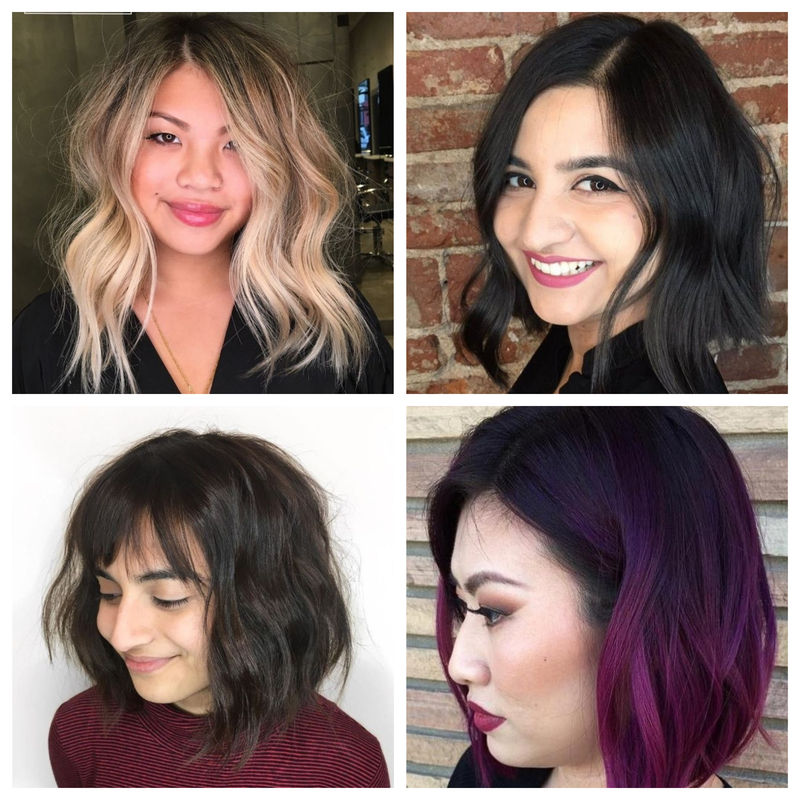 Two-tone lighter highlights are what you need. Hairstyle defines a human’s personality, particularly when he/she is a teen. Having a unique hairstyle that flatters face features, helps a teen girl gain more confidence and present herself in the best way. Indeed, a hairstyle is the most important part of one’s image so choosing it carefully is must. When it comes to black teens, they have plenty of hairstyle options because of their unique texture. 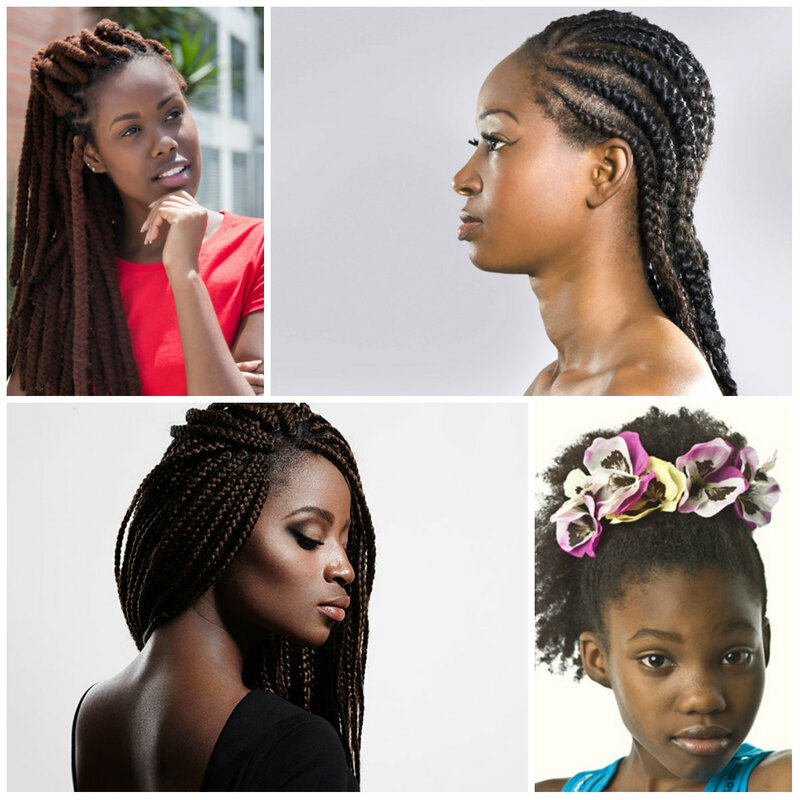 So, here we have selected some cute hairstyles for black teen girls. It is the most iconic hairstyle among black girls. Teens with thick and long hair will definitely rock the look. However, the carefree look of these twists is super adorable. In case of you have short hair, simply go for Marley twists to replicate the look. The advantage of rocking dreadlocks is that they are also protective so you don’t have to damage your locks to achieve a mind-blowing hair design. 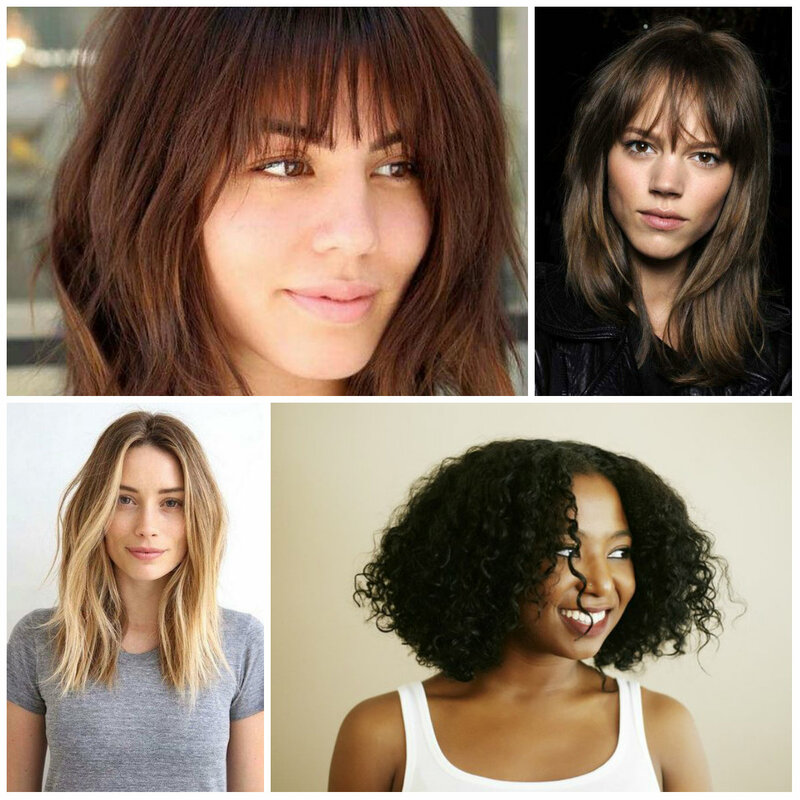 Shaggy bangs are low-maintenance and work for everyone. They are great for creating an effortless cool-girl look. There are some types of bangs that are not full or blunt but they are getting wispy or part in the center. However, the bangs are less stressful and they will definitely make your haircut stand out. When it comes to your crop, it can be either long or short.